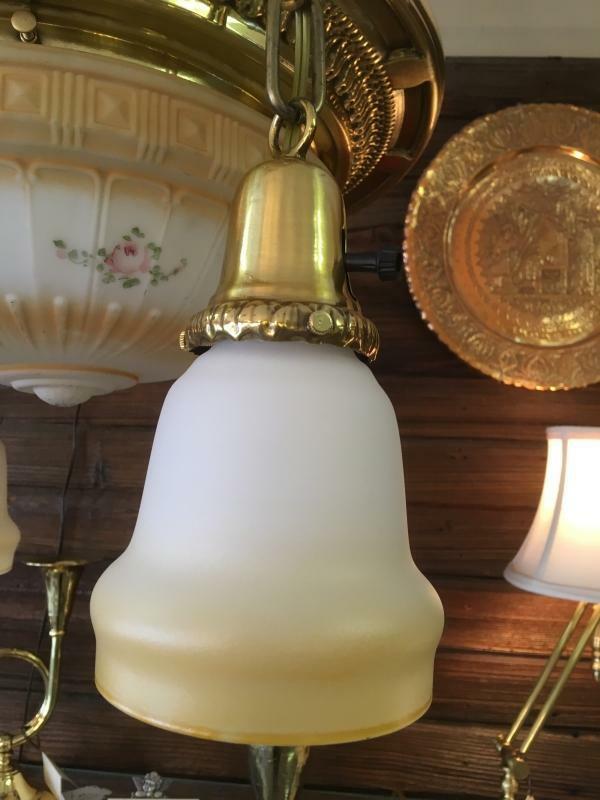 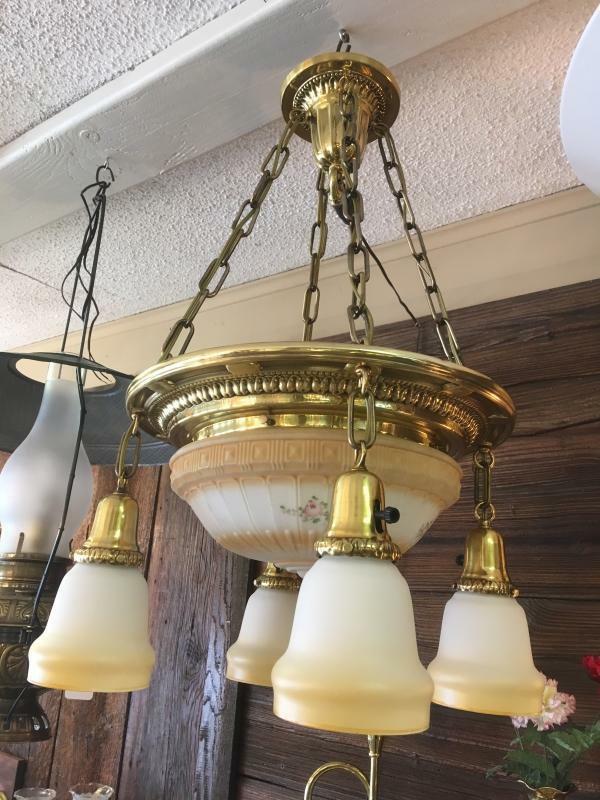 This vintage brass 5-lite hanging chandelier with original large center globe has been professionally cleaned and polished with all new wiring and sockets. 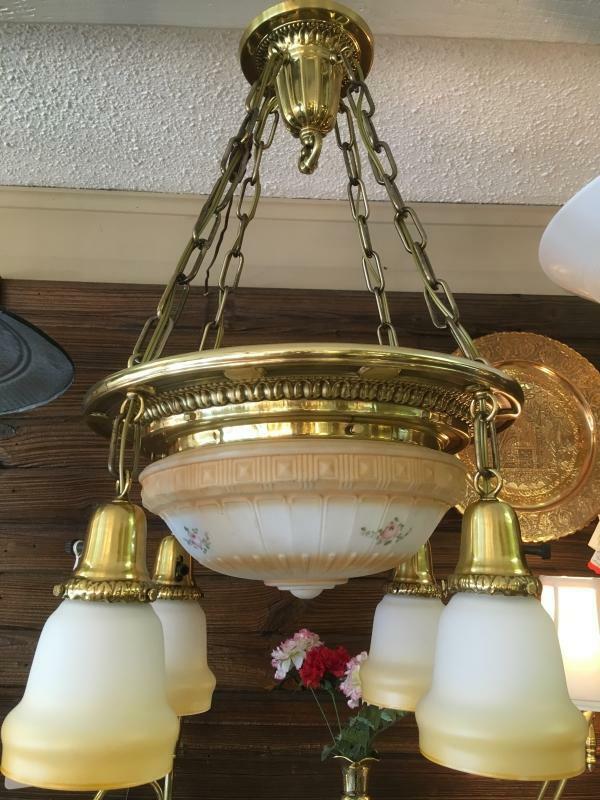 The fixture measures 28" long as pictured and 19" in diameter. 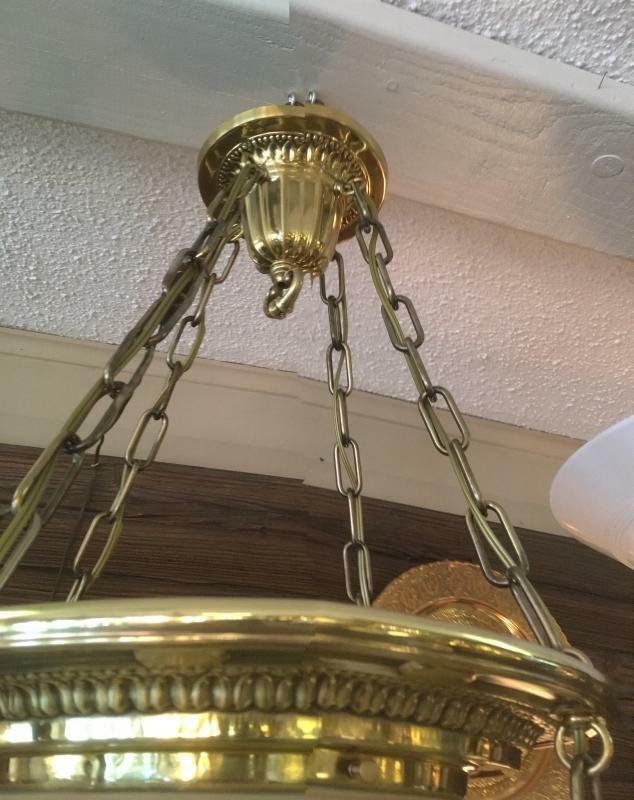 All the original brass and globe are in excellent condition ready to hang. 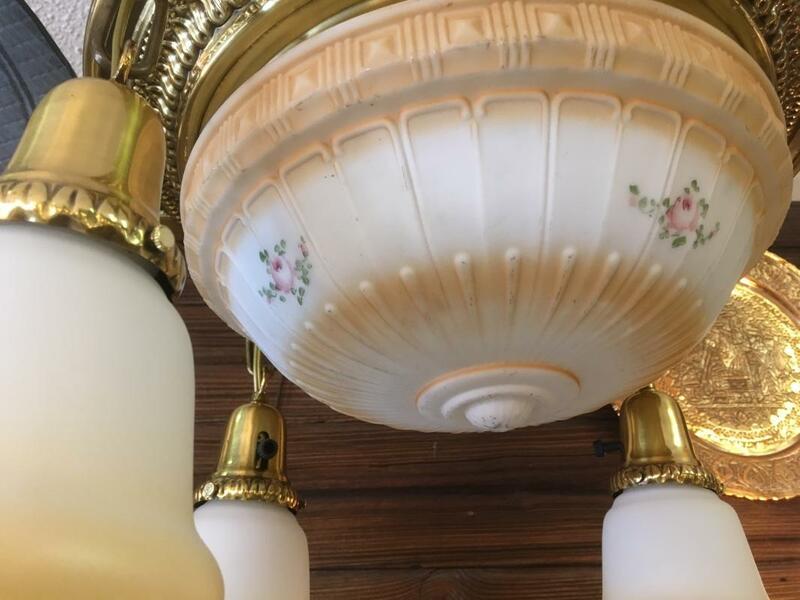 The four socket shades are new and been reworked to match the center globe very closely. 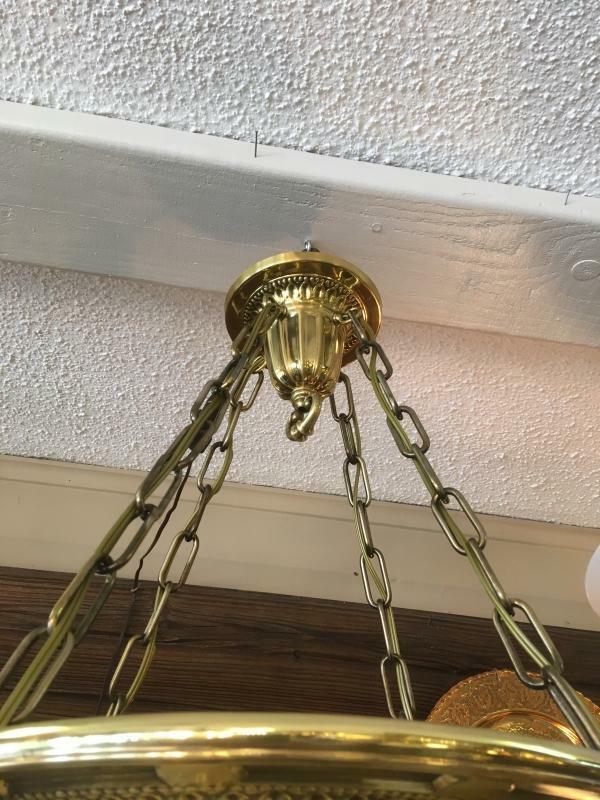 Please email for more pics or info if needed and thanks for looking!! 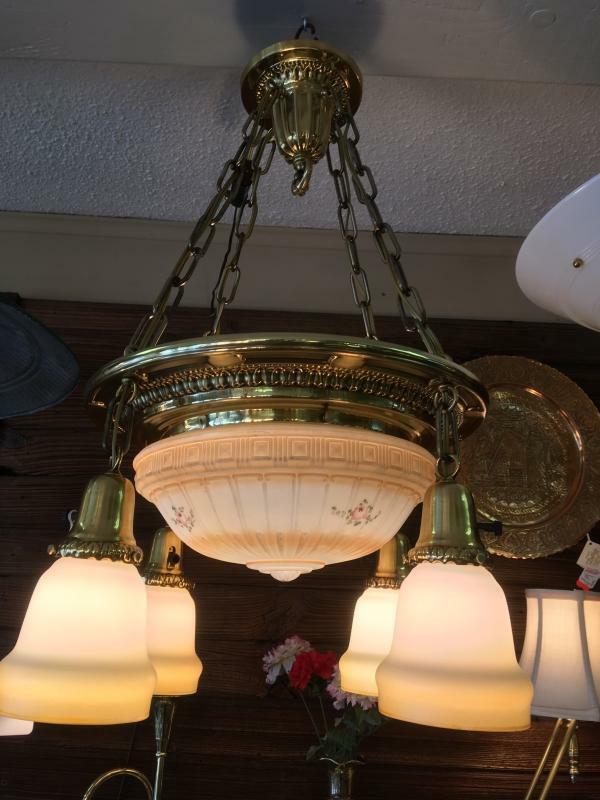 Items Similar To "Vintage Large Globe Hanging Chandelier"